We install a range of textures with PerfectTablePlan. Usually these are installed into sub-folders of your Documents\PerfectTablePlan\textures folder. These textures all tile seamlessly, i.e. you can't see the joins where one tile ends and the next begins. There should be no need to mirror them. Storing large texture images in your plan will make your plan file large and may slow down PerfectTablePlan. Ideally a texture image should be in PNG or high quality JPG format and should have at least 40 pixels for each cm (100 pixels for each inch) that you want to print it at. E.g. If you want to repeat your texture every 2.5 cm (1 inch) across on your printout, it should be at least 100 pixels across. Make sure you comply with the copyright/licensing terms of any textures you use. 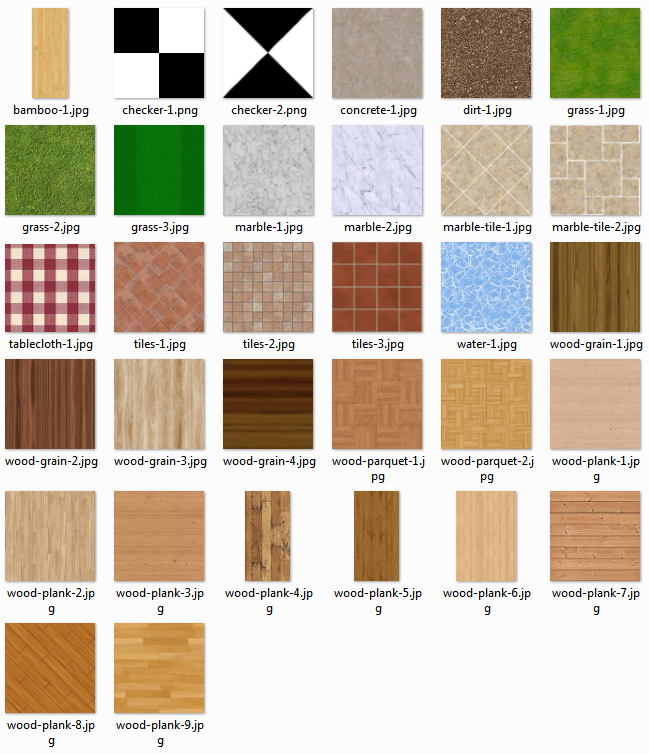 See the .txt file in the textures folder for more details on licensing of the textures we install with PerfectTablePlan.